TURIN – A Fiat engine plant in Poland is the first manufacturing facility to receive a gold award under the automaker's World Class Manufacturing system for factory efficiency. The plant in Bielsko Biala, Poland, which builds 900cc gasoline engines and 1.3-liter diesel engines, received the award from Stefan Ketter, Fiat-Chrysler's chief manufacturing officer. Fiat's Pomigliano factory in Italy, which builds the Panda minicar, was recognized with a silver award, while bronze awards went to three Italian Magneti Marelli supplier plants, Fiat's powertrain plant in Termoli and, for the first time, four Chrysler plants. The Chrysler plants were a powertrain plant in Dundee, Michigan, which makes the 1.4-liter FIRE and 2.0- and 2.4-liter Tigershark gasoline engines and three vehicle plants: Toledo, Ohio, which manufactures the Jeep Liberty/Cherokee and Wrangler SUVs; Windsor, Canada, which builds the Chrysler Town & Country and Dodge Grand Caravan minivans and the Saltillo Truck Assembly, Mexico, which builds the Ram pick-up family. World Class Manufacturing (WCM) was first introduced by Fiat in 2006. It is a global internal system for managing manufacturing activities that focuses on plant processes including safety, maintenance, logistics and quality. In 2009, when Fiat took management control of Chrysler Group, the program was progressively rolled out to Chrysler plants. The rankings are listed as a two-digit score. A score of 50 or above is recognized as bronze, 60 is silver, 70 is gold, and 85 is world-class. 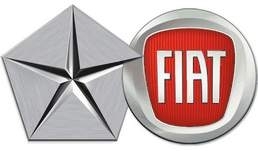 There are currently 8 Fiat-Chrysler plants with a silver status and 20 with a bronze status.